E. coli-infected romaine lettuce is not new and there has been nearly 20 outbreaks from 1993 to 2011. This outbreak, however, hit a little close to home in Newberg and to be safe the federal Centers for Disease Control (CDC) recommended that all stores nationwide remove the leafy green vegetable from their shelves. 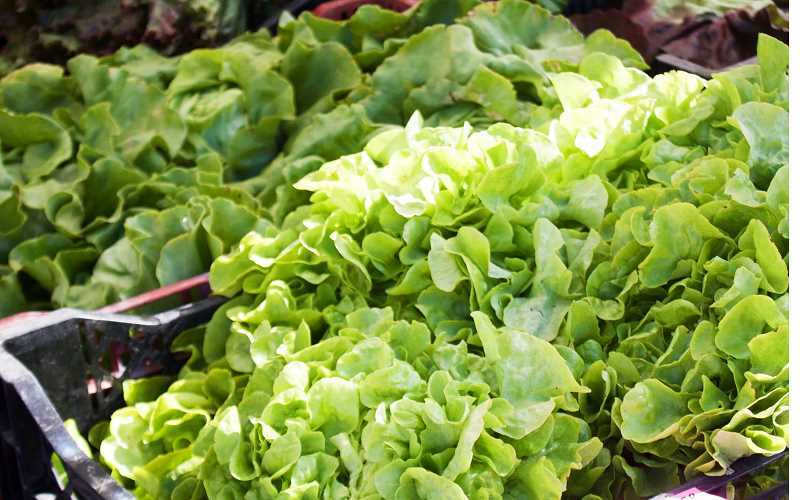 "Restaurants and retailers should not serve or sell any chopped romaine lettuce, including salads and salad mixes containing chopped romaine lettuce, from the Yuma, Ariz., growing region," the CDC website posted on April 13. CDC issued the warning after 13 people nationwide were stricken with symptoms of E. coli poisoning. That number had grown to a total of 53 cases as of April 18. It also has spread from 11 states to 16 states as of that date. The highest numbers reported came from Idaho at eight cases, which has subsequently grown to 10, Pennsylvania with 12 cases and one case in Washington. No cases had been confirmed in Oregon as of press time Tuesday. As a result, Newberg's romaine lettuce disappeared from the shelves on April 14. "Our product was pulled from shelves over the weekend, (April 14-15) and is no longer for sale," Jill McGinnis, a spokeswoman for Safeway, said in an email. "A fresh product that is not affected by the recall began arriving in our store locations for customers (April 18)." Fred Meyer stores also pulled some of their romaine lettuce from the shelves. "We pulled away the national brand package and Kroger brand packaged romaine," Jeff Temple of Fred Meyer said. "However, this was done as a precaution and as a safety measure, because as far as I know, no-one has become ill from the lettuce. The Simple Truth packaged brand romaine is still on the shelf and all of our loose leaf, what we call wet racks. They both are fine." The CDC says more cases could be diagnosed in coming weeks as there is a two- to three-week time lag between the time a person becomes ill with E. coli and when the illness is reported to the CDC. Of the 53 confirmed reports, 31 have been hospitalized and two people have suffered a kind of kidney failure called hemolytic uremic syndrome, according to the CDC website. Once retailers ensure the product didn't originate from Yuma, the lettuce will be returned to the shelf. "Our safety food person informed me that it should be back on the shelf soon," Temple said on Thursday. The Food and Drug Administration (FDA) has not yet identified the specific farms or companies that grew, supplied and distributed the contaminated products. Nor has the FDA determined how the romaine lettuce harvested from Yuma made its way to retailers and restaurants around the country. "No specific grower, supplier, distributor or brand has been identified at this time," the FDA reported Thursday. "If you cannot confirm the source of the lettuce, do not buy or eat it," the CDC said on their website. Safeway went to great lengths to determine its products were safe. "None of our producers have been implicated or identified as the source of the issue," McGinnis said, "All of our suppliers have confirmed they are not utilizing romaine from the growing area in question." On average it takes from three to four days from a person with E. coli to get sick. Typical symptoms include diarrhea, oftentimes bloody, severe stomach cramps and vomiting. Anyone exhibiting those symptoms should see a doctor, the CDC said.